Who hasn't expereinced this? 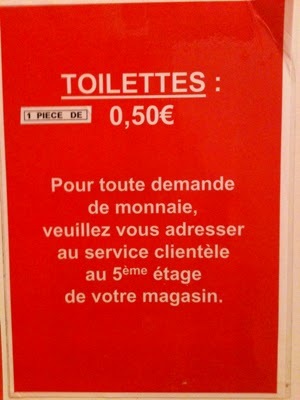 In France, busting to go to the loo - but not having the cash? Cash? I hear you say, why do you need cash? In Australia, you'll find public toilets everywhere, mostly clean, and definitely Free... In France, when you're travelling in Paris and other popular tourist destinations, you'll be confronted with either a turn style or an assistant expecting cash. Which button would you press? Riana doesn' appear to mention the toilet that took my partner and I by surprise - the electric assisted toilet - this is one that has a 'muncher' attached to it. Usually in older hotels that were built before plumbing. The electric motor starts when you flush and it 'munches' things to fit into the old or thin pipes. 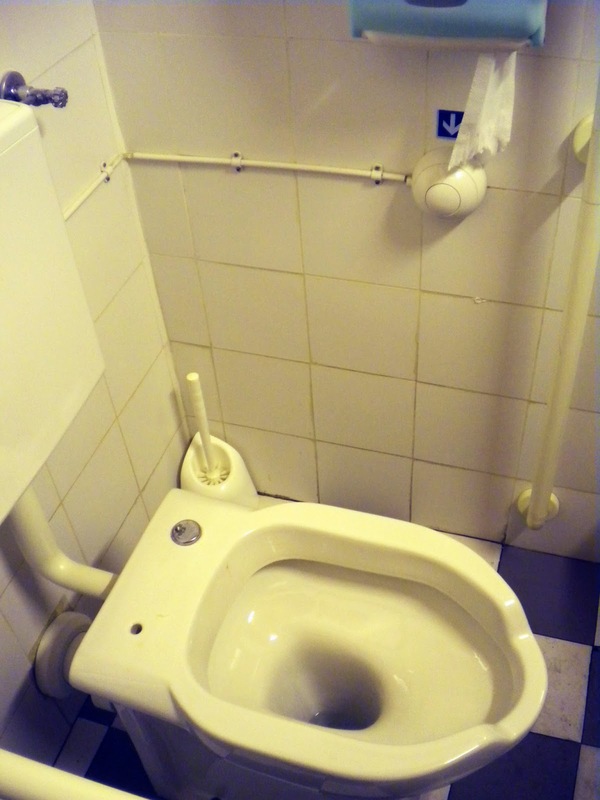 If you're looking for some useful advice on toilets in France, here Rick Steves provides some great advice to prepare the novice traveller. Does anyone else have interesting toilet stories from France? 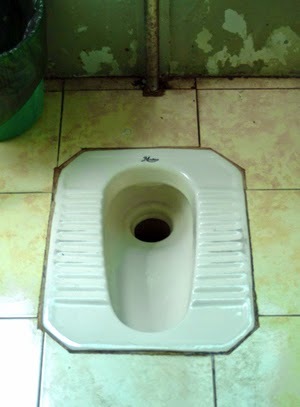 Has anyone ever been confronted by toilets in France with no doors, or mixed gender loos? what about what toilets are called in France? I'd love to hear your stories too! 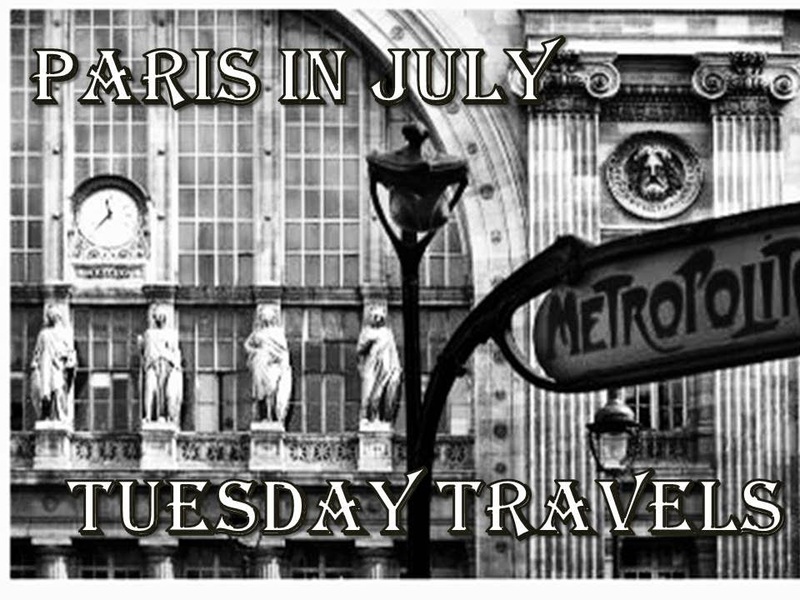 It has been fun reading your posts on Paris in July. 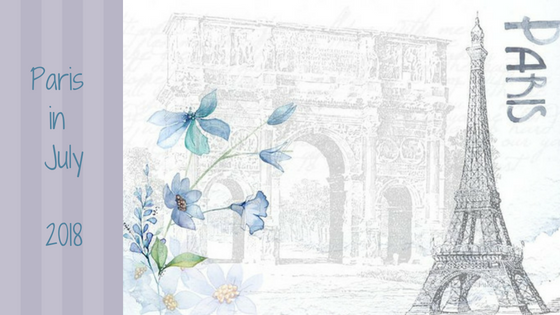 I just wrote another one on my blog, but then I write about Paris off and on all year through, so it’s not the same, and I am sure not as interesting since I don’t discuss it as a foreign city. 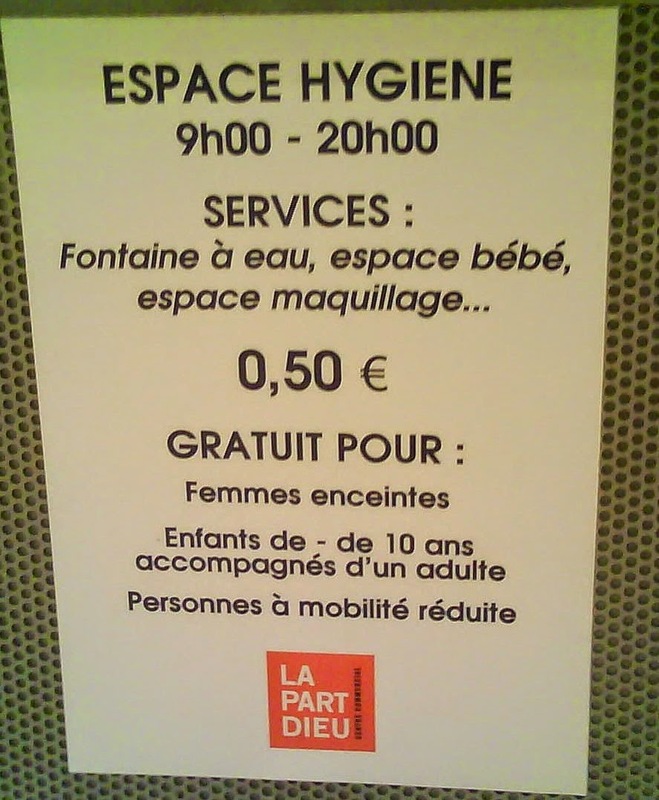 As for bathrooms, what I like about French bathrooms, and the same could be said about Belgium and Switzerland and other European countries, is that they have many unisex bathrooms when the business is a small one. Men or women can use them. Sometimes in the US you can see a long line of women waiting at the Ladies bathroom and the men bathroom is totally empty. No bathroom stories. I did find a free one at BHV! Top floor, I think. I find it useful to carry pocket Kleenex -- just in case. And if worse comes to worse, one can pay more and get a glass of wine to use the cafe facilities! Oh yes, how can a country that has amazing fashion and pastries have the worse bathrooms. I tried out the posh ones in the Carrousel du Louvre shopping mall where you are conducted to a stall, which the the conductress inspects for quality (! ), and there's even a shop selling branded souvenirs of your toileting experience: wall-paper, loo rolls, accessories. It was crazily funny. I can't remember how much it was, but I thought it was a worthwhile tourist experience! Food Bloggers with French flavour! Join me in conversation with a real French Chef!